As you know, this is not a “Best Films” list. It’s not exactly a “Favorite Films” list, either, but more of a weird hybrid where I celebrate the films that defined 2018 for me — a year of struggle and perseverance. Fittingly, this group of films is diverse and egalitarian, with many centering on characters just trying to make the best of a chaotic and often uncaring world: Roma’s dedicated maid, Cleo; the haunted priest of First Reformed; the teens of Minding the Gap. Themes of alienation were common; unrecognizable worlds were made literal in films like Annihilation, Alice Rohrwacher’s Happy as Lazzaro, and Wes Anderson’s Isle of Dogs, but for others the groping in the dark was more metaphorical, like the ladies of Widows or the many doomed characters of The Ballad of Buster Scruggs. Even Mary Poppins Returns was laced with melancholy, and didn’t need a catchy song to teach us to keep moving towards the light in the distance. So it wasn’t the sunniest year in film, but it was rewarding all the same. Apologies to: If Beale Street Could Talk; Shoplifters; Burning; Cold War; Can You Ever Forgive Me? ; Support the Girls; The Rider; Leave No Trace. I hope to see many of these soon, but that just wasn’t possible at the time of this writing. Those of us in Club Daddington get it: These films are improbable classics, radiating sweetness in every direction. Paul King’s sequel fires on all of its adorable cylinders as the titular marmalade-loving bear gets unjustly sent to prison (stay with me) and turns things upside-down just by being himself, a beacon of decency and kindness and a model for us all. Ben Whishaw is great; Hugh Bonneville is great; Sally Hawkins is great; Brendan Gleeson is great; Hugh Grant is a bloody delight. Right? Like I said, I’m surprised. With an all-star cast careening like pinballs and an airtight, exceedingly clever script from Mark Perez, Game Night rose again and again above its unremarkable origins to become the best R-rated farce in ages. I don’t think I laughed harder at any live-action* scene this year than when McAdams tried to remove a bullet from Bateman’s arm. Like Perez, co-directors John Francis Daley and Jonathan Goldstein have bleak resumes, but clearly some dark alchemy was at work here. Someone needs to give Jesse Plemons some kind of special award. No, not Vice, which — despite a game Christian Bale — has no discernible target audience. 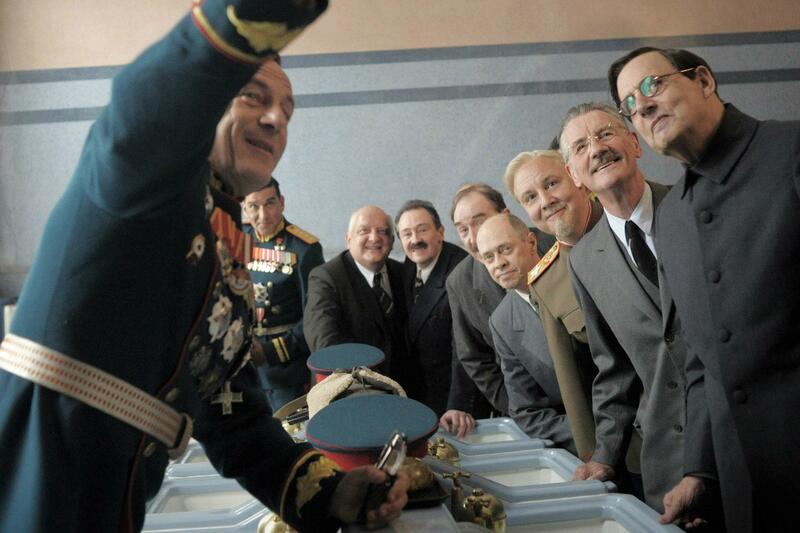 Instead it’s Armando Iannucci’s adaptation of Fabien Nury’s graphic novel, which depicts the back-biting and back-stabbing of Stalin’s ministers in the wake of his death with tar-black irony and no small degree of historical accuracy. Standouts in this deep ensemble include Steve Buscemi as the opportunistic Khrushchev and Simon Russell Beale as Beria, the despot-in-waiting. It’s not as laugh-a-minute as Veep, but the lacerations cut deeper. Rapper/Producer Boots Riley may have stayed in the news this year by picking a fight with Spike Lee over BlackKklansman (which is great, but lost some of its luster as the year went on) but that shouldn’t overshadow his gonzo work on his own directorial debut. Lakeith Stanfield is perfectly cast as a telemarketer who perfects a “white voice” to rise through the corporate ranks, but racial code-switching is only one piece of what StBY has on its mind — some of which defies description and should never be spoiled. It’s a weird, strutting shotgun blast of a film that treats every skid like an opportunity to swerve down another uncharted path. I try to avoid seeing objectively bad movies (I don’t get to watch for free, you know), so my top contenders were this or Ocean’s 8, which was thoroughly trounced by Widows for the “Women be Heistin'” 2018 title. But as far less was expected from Ocean’s than of Crimes of Grindelwald, the grimy-looking and dramatically inert sequel to a prequel that mostly just confounded, my choice was basically made for me. Middle school is the worst; even the popular and the bullies agree on that. A few hundred kids packed into a building that intentionally resembles a prison, all discovering their personalities, insecurities, hormones, and capacity for cruelty at the same time, can be a harrowing experience for even the strongest of spirit. Burnham, stand-up comic, musician, and first-generation YouTuber, really captures the essence of preteen trauma in his confident directorial debut. Elsie Fisher is sensational as the introverted Kayla, who is just trying to survive a final week of school that delivers one cringe-inducing encounter after another (like many, I had to watch the pool party sequence through my fingers). 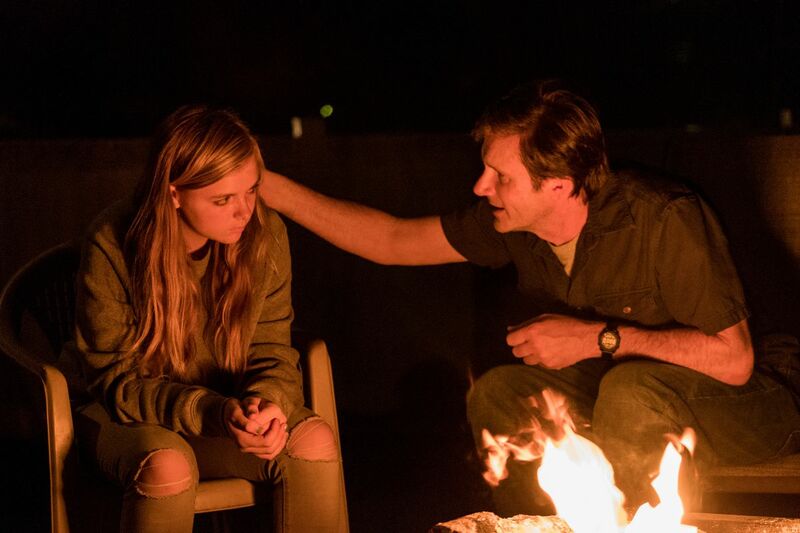 She tries to “fake it ’til she makes it” through a series of self-empowerment videos with dead-in-the-water catchphrases that no one watches, all the while rebuffing her well-meaning dad’s (Josh Hamilton, terrific) affections until the dam finally bursts in the film’s final act. Bonus: The best unironic use of “Orinoco Flow” this century. To begin with the former, its success has been well-documented: The sumptuous production design; Rachel Morrison’s colorful cinematography; breakout performances from Letitia Wright and Winston Duke; and a swaggering Michael B. Jordon as Killmonger, a tragic villain carrying the weight of his people — a clarion call against isolationism — and oozing both charisma and menace. Yet for all of Black Panther’s zeitgeist-shaping staying power, it still followed the Marvel formula; Into the Spider-Verse, written by Phil Lord & Rodney Rothman, excelled when it eschewed expectations entirely. Every single shot could be frozen and hung on a wall; the voice cast, especially Jake Johnson (as Nick Miller as a washed-up Peter Parker) and Shameik Moore as Miles, is exceptional; its main conceit — the collision of different Spideys across the multiverse — works because of, not despite, its wild mishmash of tones and animation styles (Spider-Ham!). It’s so good, so refreshing and full of heart, it makes every other comic book film seem sad and inadequate. I can’t wait to see it again. It’s been a strong year for documentaries: Won’t You Be My Neighbor tugged at the heartstrings; Free Solo thrilled; Three Identical Strangers chilled. 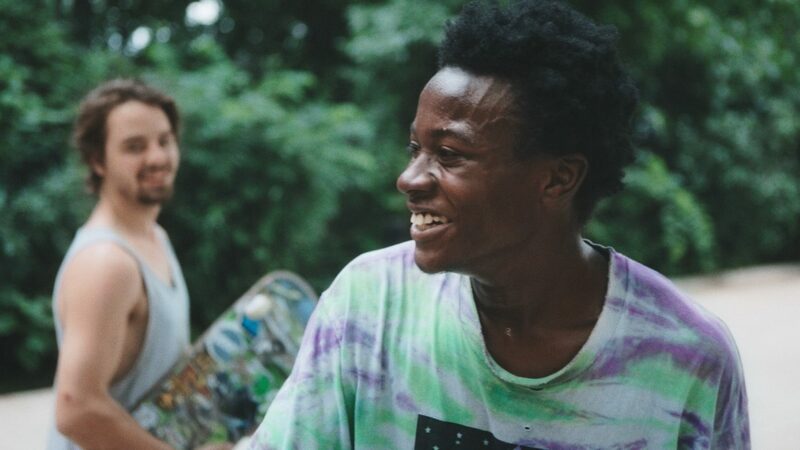 But I’d suggest the best of them was Bing Liu’s Minding the Gap (on Hulu), a cinema verité mini-masterpiece, poignant and heartbreaking and beautiful in its messiness. What begins as a youthful celebration of skate culture starring Liu and two of his goofball friends, Zack and Kiere, gradually (so patiently) becomes something else entirely: An exploration of masculinity, trauma and abuse, parents and children, race and class, and the cycles being fed in America’s decaying cities. For the trio, skating is an escape from their volatile home lives; a way to release their aggression and rebelliousness without getting into too much trouble. But before long adulthood comes calling, and as Liu keeps shooting, having been granted wide latitude and access into his friends’ lives (who use him, in turn, as a listening ear for what serve as makeshift therapy sessions), the young men begin to grapple in their own ways with the residual effects of their childhoods and what legacies they want to leave themselves. As frustrating as it is to see one resume the only pattern of male behavior he’s ever known, the catharsis of another’s final visit to his father’s grave approaches the sublime.